I will now go into all my feelings and thoughts of why I have decided to take this trip of hiking 2,650 miles from Mexico to Canada. It has been on the back of my mind for years as I have lived in many areas on the PCT. The PCT starts at the Mexican border near San Diego; I lived in San Diego for five years. You go through the desert and then the Eastern Sierra, Yosemite. I lived in the Eastern Sierra and loved going to Yosemite. The trail goes through Tahoe; I lived in Truckee near Tahoe and in Northern California for years. Then it travels into Oregon—I lived in Bend, OR, for a few years—and on to Washington. No, I never have been or lived there. So it seems I lived so close to the PCT and never even thought about it until the last few years. As I get older I regret not taking advantage of it in my younger years. I am drawn to the PCT and as much as it scares me to think about all the miles and what is in store for me. I am excited to start planning. This will also be an adventure I am taking at the age of 64. Why didn’t I do this at an earlier age? Well, it is harder to take five or six months off when you have to work. I do have a business as a spa and bed and breakfast owner, but my staff has told me not to worry while I am away. I believe them! As far as family and friends, they think I am crazy. 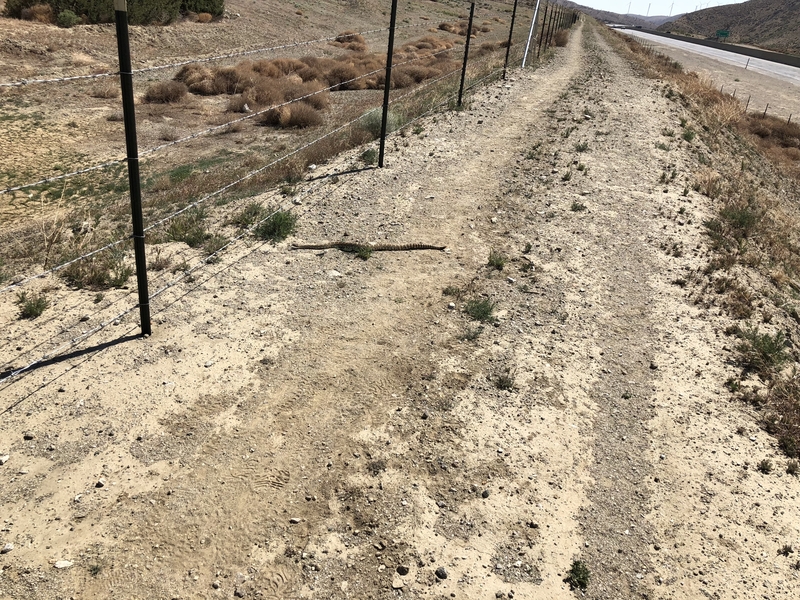 When we did a section of the PCT last year near Tehachapi, everyone did a sigh of relief when we were back after two weeks. Of course, they all thought we would not get very far anyway at our age, but here we are this year to tackle it again. This time starting at mile 1 in Campo, CA. When I started thinking about the hike years ago, my biggest fear was that of many: being alone in the wilderness with all the creepy animals lurking about; lions, bears, rattlesnakes, and little critters. Well, after hiking last year my biggest fear is not of the bears it is of silly injuries that can take you off the trail in a few miles. At my age, you have to listen to your body and take necessary precautions to prevent an injury. Just one stumble on a rock or root can pop a knee out or ankle. So I plan on being in the best shape I can to make this happen. Even at that the mental aspect of hiking for months is something to be prepared for. For, me reading Pacific Crest Trail Trials by Zach Davis and Carly Moree has really helped prepare me for the mental journey on the trail. It is not all about hiking 2,600 miles from Mexico to Canada. It is about how you are able to complete the journey and love it along the way, even when you are ready to hang in the towel after a tough day. This is a long process that has taken a lot of research. Going over maps and videos of hikers who have completed the PCT or AT. 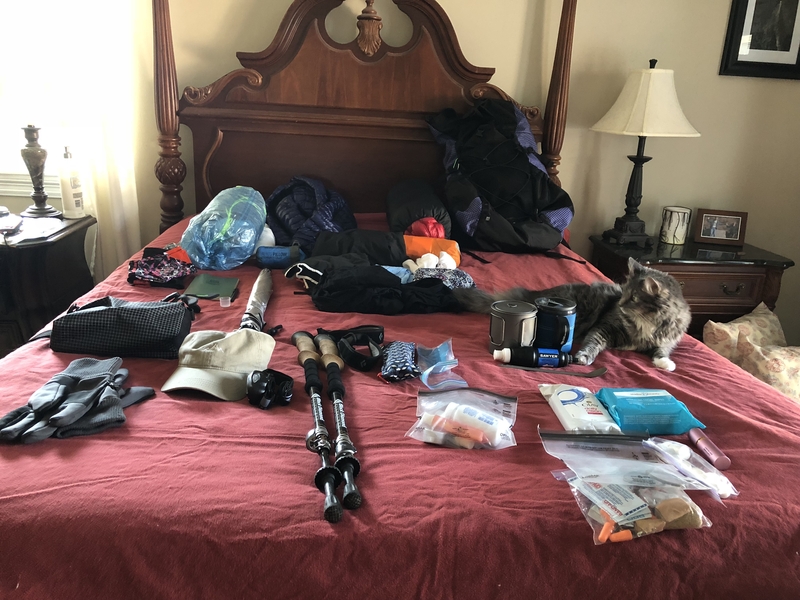 Now that I have my gear, which will be posted on my blog, you will get to see exactly what I will be living with for months on the trail. Living out of a backpack with only a change of clothes and, well let me show you. My cat, Missy, will not be joining us for the hike. I will miss her though. With only three months before we start the hike, to train I walk four days a week along the beach, five to seven miles, and weight train two days a week. 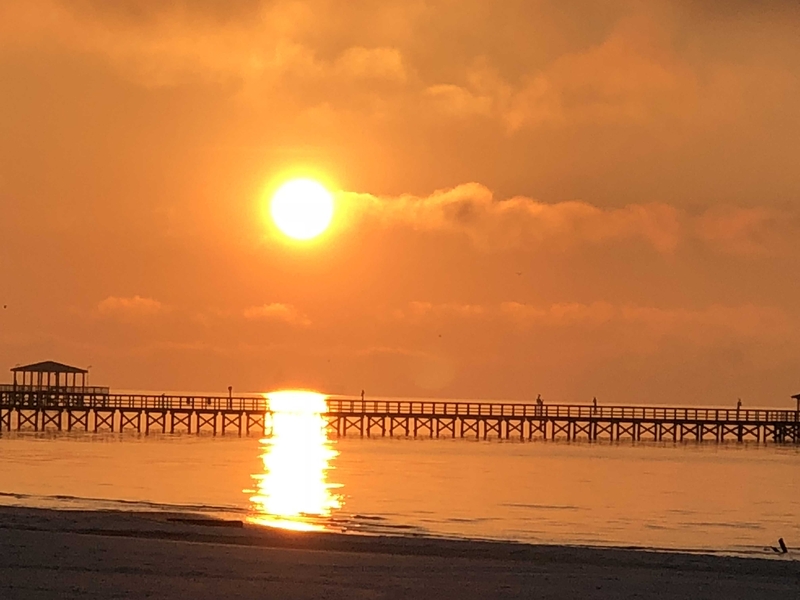 Walking on the beach I get some beautiful sunrises. Check this one out. Hi there, I am planning my thru hike of the Pacific Crest Trail in 2019. I am 64 and feel I need to get moving before my bones but mostly my knees will not let me. I love the outdoors and especially the serenity of the mountains. I miss them so much as I used to live in California and Oregon. I now live on the Mississippi Gulf Coast and there is not a mountain to be seen for over 200 miles. To get any mountain hiking in we have to drive to Georgia or Alabama. I have been planning this hike for a few years now and after doing a section of the PCT in California this year I cannot stop thinking about it. It consumes me and I just need to get out there. This will be the biggest adventure of my life. I know it will be a challenge both mentally and physically, but what a conversation piece. I cannot wait to share my journey with everyone as I go on this adventure of a lifetime. First let me say I wish you much luck, strength, and joy. I’m rooting for you because I plan to retire in the fall of 2019 and also plan to hike the PCT when I am 64! Your base weight looks awesome. I’m curious about your start date. Isn’t it way too early? What about the snow in the Sierras? Hi Joe, thanks for wishing me luck. I will need it. I am 64, but really do not feel it except in my knees and as I train cannot do all the things I used too, but I try. I am not retired but have a great staff and if I wait too much longer feel it is going to get harder and harder . As far as my start date April 2, I plan on hiking low miles to start. Probably only 10 miles day for awhile until I built up to longer miles. I want to thoroughly enjoy the hike and take my time. I am also being realistic as well. Praying I can do the whole thing, but if I have issues will try my best not to be too hard on myself. Well, take care and Merry Christmas. Just wanted to throw my support behind your journey and successful finish of your PCT adventure. I’ll be three days before my 55 birthday when I head out from Campo on March 18. I wish to start out slow and really enjoy the desert I will be passing through. Hopefully the weather will be acceptable for early starters this year. Good Luck To You & Happy Trails! We may meet one day! Terry, wishing you the best of luck. Started last 4/26 and finished on 9/17. We were fotunate to have spectacular weather, and hope the same for you. From a 54 year old to a 64 year old; know that you can do it. Know that you can do it! Best of luck and I’d love to see your updates as you go. Hopefully this note reaches Terry. I’m not so social media savey. I live in san diego and have a great desire to do the pct. Are you interested in a trail friend? I am also in my 60s. I wish I was going, Ive backpacked all my life, loved the JMT, have done sections of the PCT . Am almost 66 great health, hope to find a hiking partner in the next few years to do this! Will be looking for you when you get closer to Oregon!